The Drums of Change is a publication that was put together by the ACTION Support Centre. 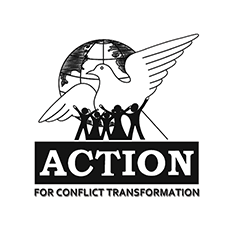 The ACTION Support Centre (ASC) is the Africa regional hub of a global network of organisations and individuals committed to transforming conflict, ACTION for Conflict Transformation (ACTION). The ASC was established in 2002 on the basis of a mandate to set up a communications hub for the network members of ACTION Global. It has since transformed itself into a regional and continental base for organisations working in the fields of conflict and development. 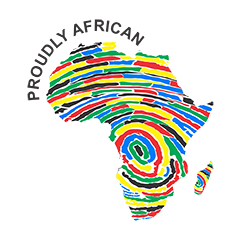 The ACTION Support Centre (ASC) works in Africa, with men and women, with communities and their organisations, and with the people and institutions they are linked to and separated from, including colleagues, comrades and companeros from across the globe. It is only by linking individuals together, and finding the organisations that can support and strengthen us that we can realise the collective potential and the power we know we have. We have learned that people in situations of violent conflict need each other, and that in situations emerging from violence that continue to be wracked by tensions and conflict the links between people become even more important. The more robust and durable the relationships are the more resilient and effective the forces for change become. These lessons inform and guide the ACTION Support Centre. Our work is centred on empowerment and solidarity. We see conflict as a source of energy, with the potential to bring the change we need, but also as a danger with the potential to become destructive. We learn how to understand it, how to use it, and how to use the relationships we form to manage it, to harness it, and to transform it. leaders from whom we demand change and the people who are doing the demanding.